The Thompson/Center T/CR22 rifle delivers out-of-the-box performance through a feature set that appeals to hunters and avid firearms owners.. 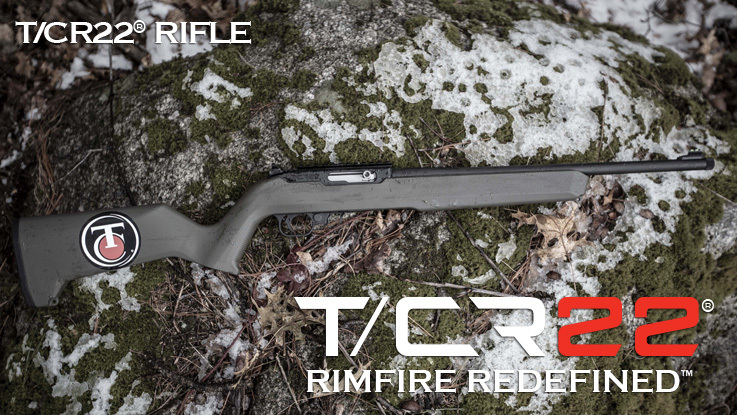 The T/CR22 rifle includes a green fiber optic front sight and adjustable rear peep sight for quick target acquisition, while the built-in picatinny-style rail allows for the mounting of an optic for precision shooting at longer ranges. Thompson/Center will be closed for the holidays from December 24, 2017 through January 1, 2018. We look forward to serving you in the new year. Happy Holidays! Today is your last day to vote for your favorite festive firearm photos! The winner will be announced on Sunday. http://bit.ly/firearmfans.